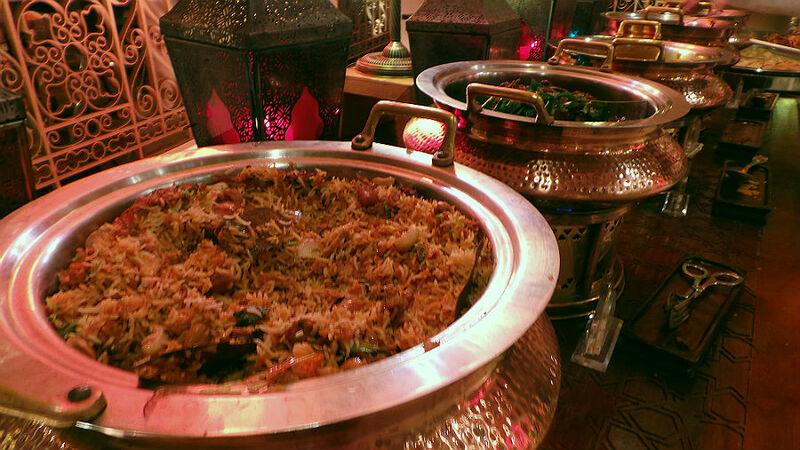 If you're looking to experience royal Arabic hospitality and cuisine this Ramadan, make a beeline for iftar at Ewaan, located at Palace Downtown. Not only does the venue ooze a luxurious appeal, but it speaks volumes of Ewaan's iftar menu that will certainly leave you spoilt for choice. 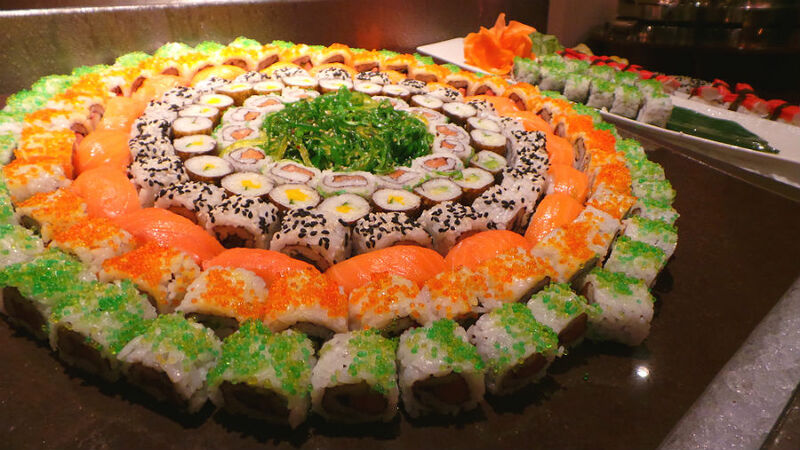 Featuring an array of Arabic food, the lavish buffet also features international cuisine. 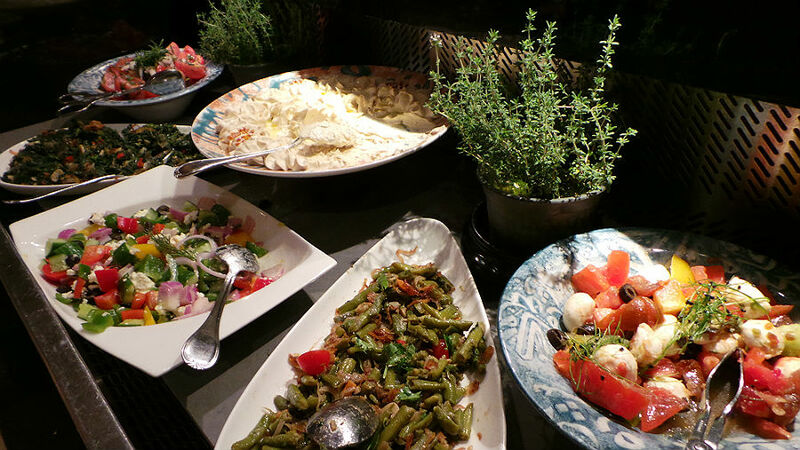 At the salad station, you are greeted with a variety of salads from fattoush, tabbouleh to Greek salads. 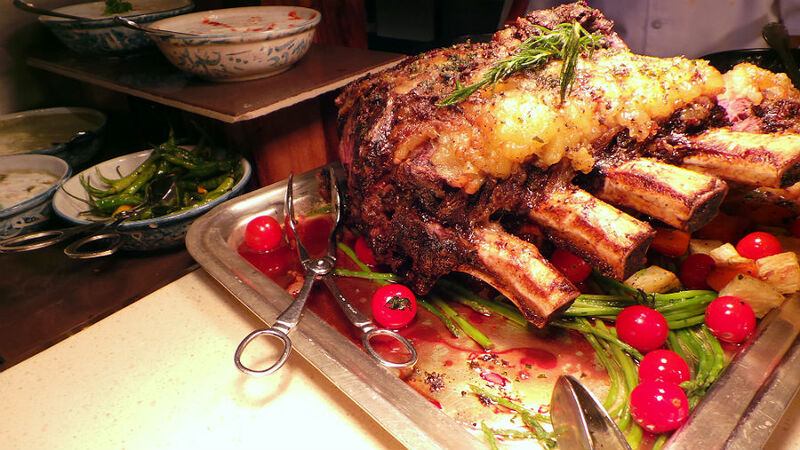 The main courses tap into international cuisine including the local Emirati one with lamb ouzi, chicken tagine, followed by grilled and roasted meat (chicken, turkey, lamb) and seafood (oven baked chunks of marinated salmon- tastes divine, squids, lobsters). 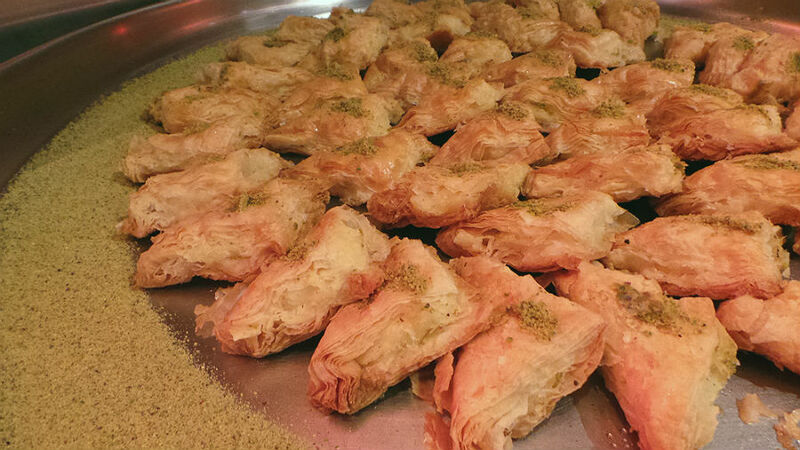 There's also a selection of shawarma, pasta, rice and dumplings (who can say no to that?). 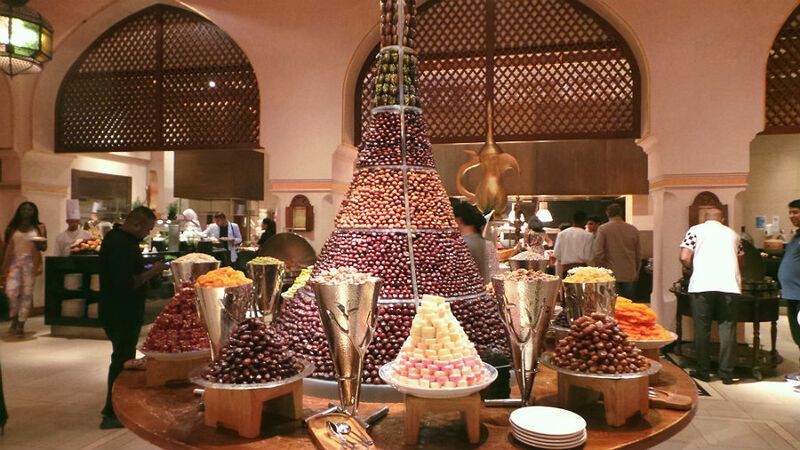 You can't miss the tower of dates situated at the entrance basked by a variety of nuts and generous helpings of Turkish delight, apricots and the likes. There's a variety of dates, so if you are only used to one kind, you might want to indulge in the rest as the texture and taste differs. 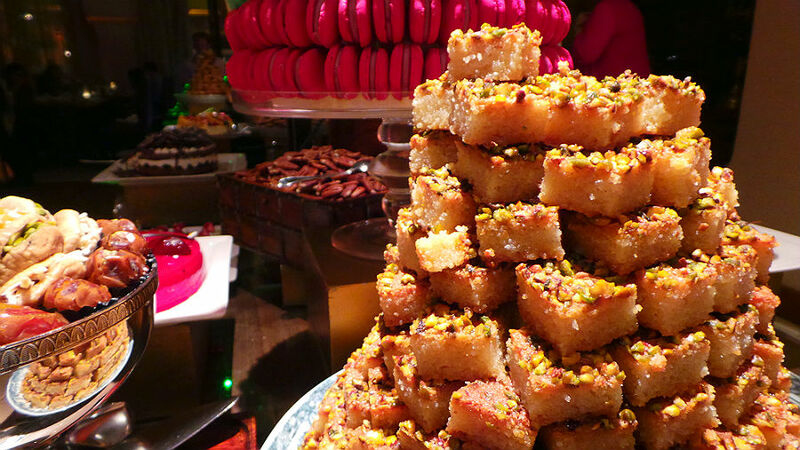 Desserts are a staple element in any iftar. 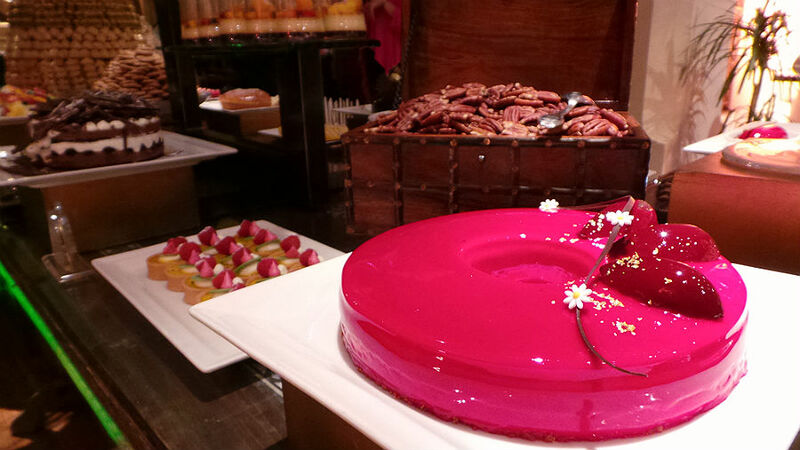 And with Ewaan's lavish spread of savory, you can only expect them to outdo the desserts station. 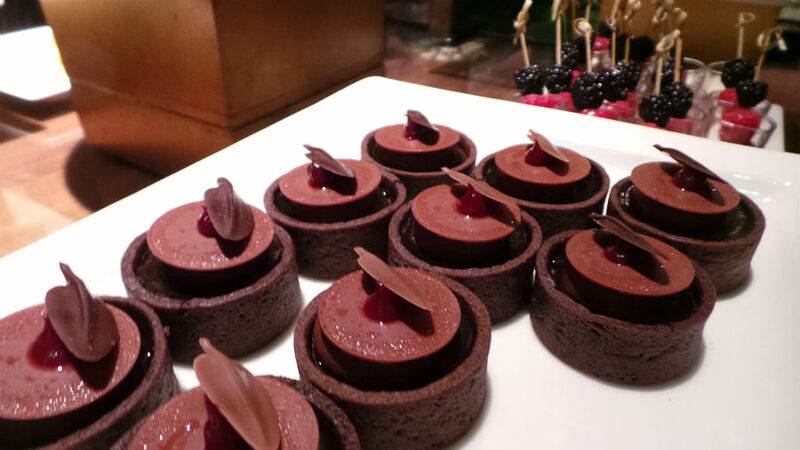 From decadent brownies, Black Forest Cake to traditional Arabic sweets, there are more than 15 desserts to choose from. While I wish I could savor one of each, I chose a few and was pleasantly surprised by how delectable they were. Ewaan's iftar (I give it 5/5 stars) is truly one of those you must experience at least once as everything, from the food to the venue is excellent. 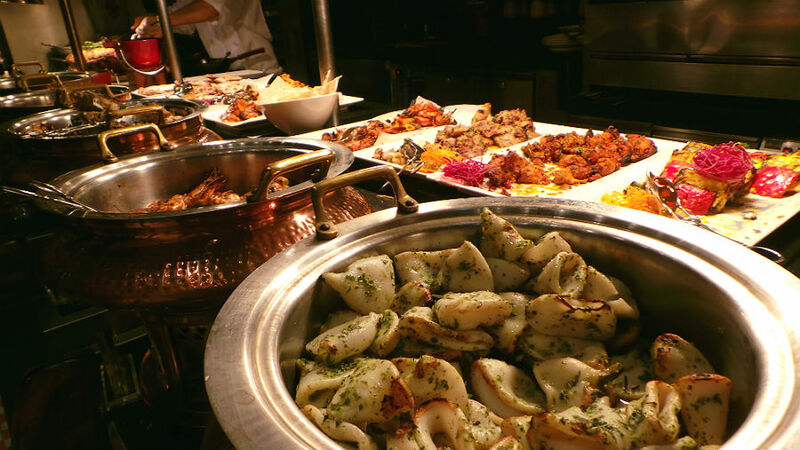 The iftar is priced at AED 255 per person, half price for kids aged 6-12 years (below 6 eat free). The iftar is available from sunset to 9pm, everyday. Ewaan is located at the Palace Downtown on Sheikh Mohammed bin Rashid Boulevard in Downtown Dubai.